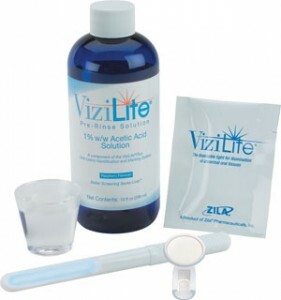 ViziLite Plus is an oral cancer screening exam. At Magnuson Dental Design we use Vizilite Plus for patients for early detection of abnormalities in the mouth, such as precancerous and cancerous lesions. Early detection is key! When oral cancer is found early the treatment is less invasive and the success rate is as high as 82%. How does Vizilite work? Who is at risk? For more information or to schedule a Vizilite exam please contact our office.